Just to liven things up on this Useful Community Development sitemap, we have selected a few photos to make you think about successful placemaking, one of those topics that's so broad it doesn't even have a page on this site. 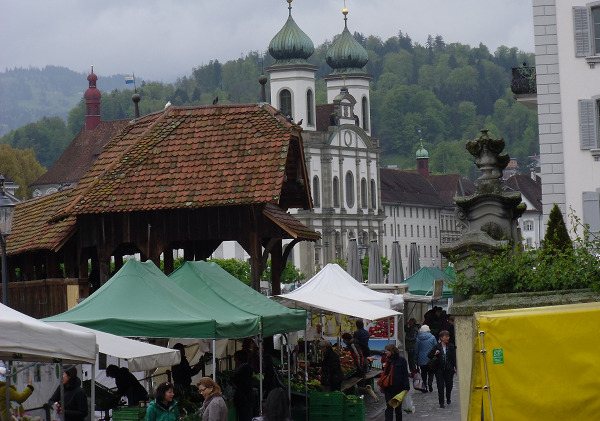 Here we see a few elements that can contribute to placemaking, including people outdoors, interesting architecture, street markets, and outstanding scenery. Don't focus on what you don't have; focus on what you can have. 1. The major topics are displayed alphabetically in larger type. Access them through the main navigation menu. Content pages are arranged under the appropriate topic. 2. After those major content divisions, we show links to the two visitor-generated content headings, sub-headings, and content pages. 3. We conclude with the Site Information items. We also have created PDF files for viewing or downloading that capture links to all our pages of particular interest to certain groups, as follows: Neighborhoods, Distressed Neighborhoods, Planning Commissioner, Rural, Suburban, Business District, Local Government Officials, International Developing Nations, Regional, and Working with Lower-Income Populations. These will really help some of you who don't want to comb through every category to find pages of interest. You'll still have to scan the sitemap and use the search feature to find topics of particular relevance to your own community. 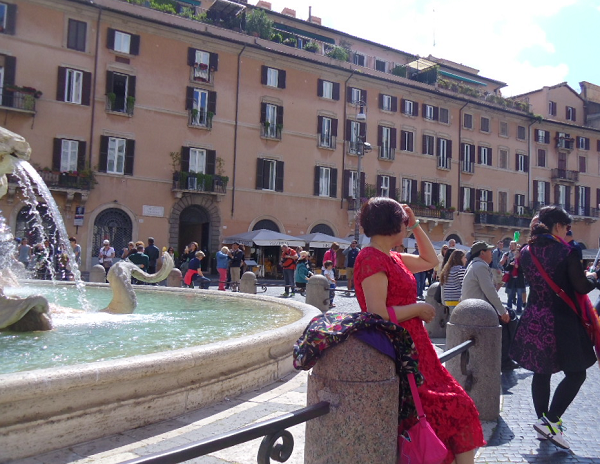 Again we see the elements of lots of people outdoors and nice architecture, this time with a great water feature in the form of one of Rome's famous fountains. 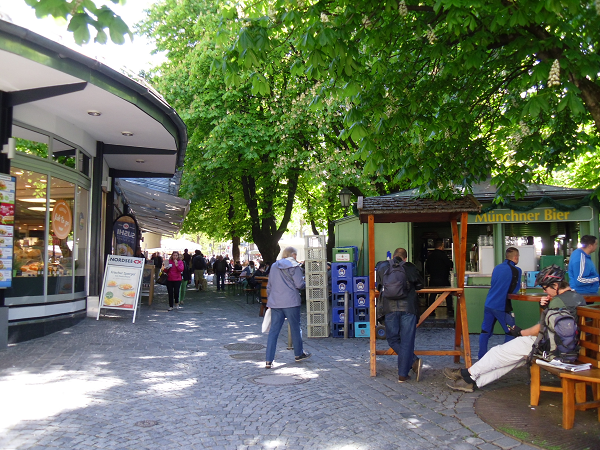 This example from the Munich Viktualienmarkt incorporates the same placemaking elements, adding great shade, food, adult beverages, and nice pavers underfoot. This section (Visitor Ideas, "Bests," Stories on the navigation) is where you can submit your own stories and opinions for publication. Accepted visitor submittals create a new web page that you can use on your own social media and other outlets. You can use the Community Development Ideas link above to access a submission form, or if you see a category below on the left margin where you would like your item to appear, click on that page to use its form. Published visitor submittals, sometimes with editor comments, are arranged as bullets below the categories. 4th of July blow out! Creative ways for park clean up! Park cleanup: It starts with One Peace, Inc. we are changing the world! Two countries, two cities, two neighborhoods and one people! Can codes help with condo sewage problem? Are very large cities better? Finding a manufacturer of small community event artifacts? How do you give a neighborhood character? Still under Visitor Submitted Community Development Questions, we have sorted many questions into the following categories. Note that on the category pages, such as civic engagement question (the first one below), you can find the form for submitting your question, which will be answered by editors and-or visitors if your question is chosen. Note that we have discontinued the Sitemap listing all of the individual questions in this section. We thought it was taking our site off-topic a bit. You can still access a complete list by clicking on the above Deed Restriction Question link. It is highly likely you will find something there that is relevant to your particular community development question or problem. 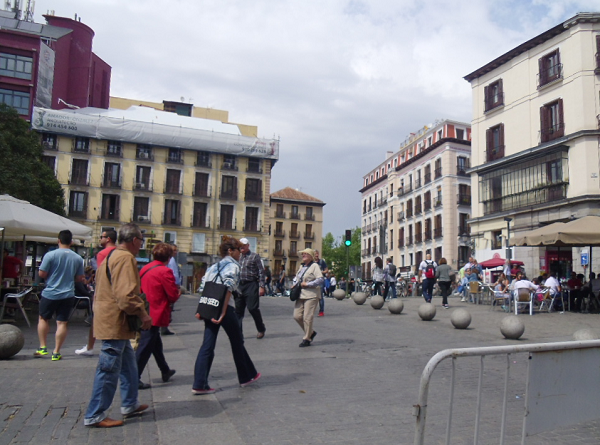 In addition to reinforcing the previously described placemaking elements, this photo adds the ideas of outdoor restaurant seating and protected spaces for pedestrians. Dissolved village District; what's next? Can a special exception be exempt from nuisance laws? What does planning term ETJ mean? Can the Town Board deny a petition without a public hearing? Bad idea to rezone from residential to affordable housing? Do I need a permit to start using my house as a church? Why aren't streams included in zoning? 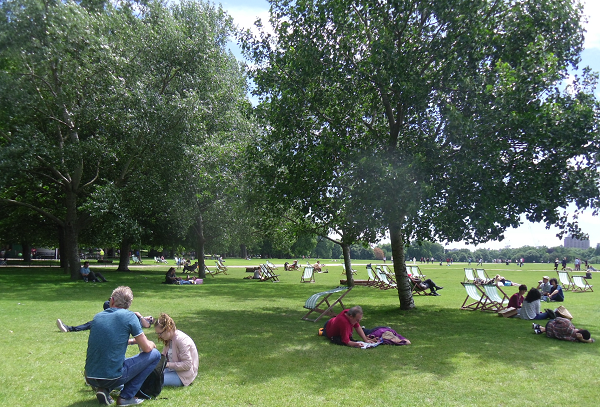 In London's Hyde Park we see the same elements of placemaking reinforced. While almost everyone opted out of paying for a chair, would the place be the same without the famous uniform chairs? What do you think? What's New is a record of the newest articles on the site and is formally titled Community Development Blog. About Us talks about the background of our writers. Newsletter Archive provides links to back issues of our almost-monthly newsletter, Quick Notes. Contact Us is a general contact form, although please use the community development question page on the navigation bar if you are asking a question. Consulting gives information about contacting the site authors for consulting services, not about hiring consultants in general. Affiliate Sponsorship Disclosure discloses that we use Google ads and might use some other sponsorships in the future. If so, we'll tell you right at the point of click. Last but not least, use this Sitemap to the fullest.